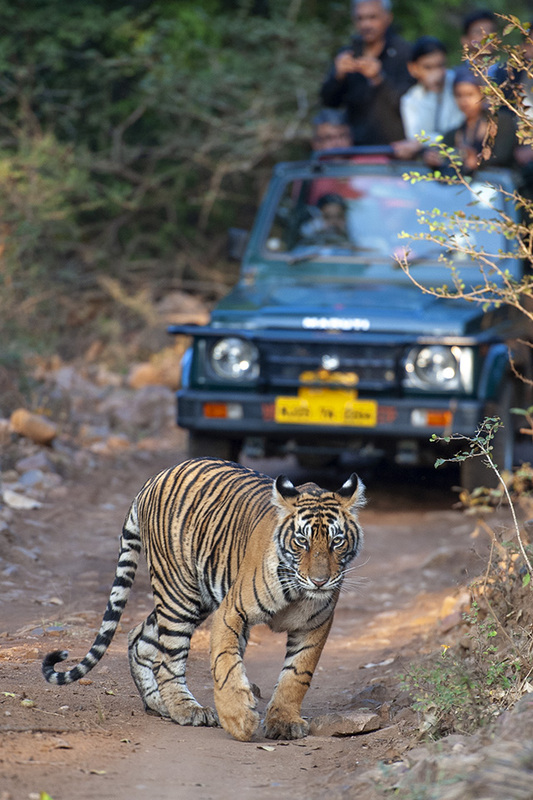 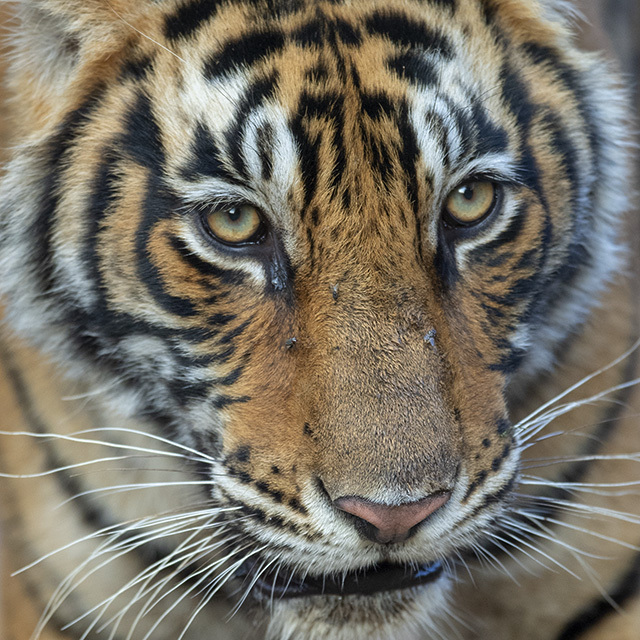 This is about yet another exciting encounter with a Tiger at the beautiful Ranthambore National Park in Rajasthan. 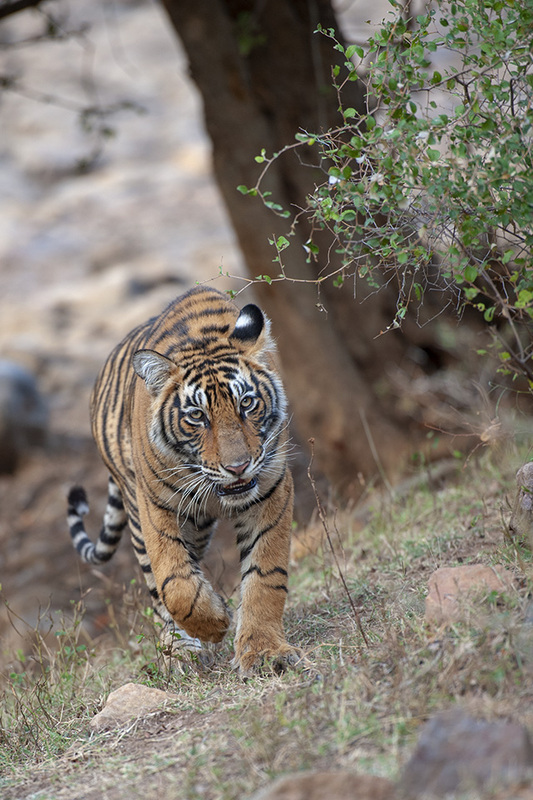 The Tiger walked along the dry stream bed and emerged, as predicted, into the clearing in the exact location as predicted by our driver. 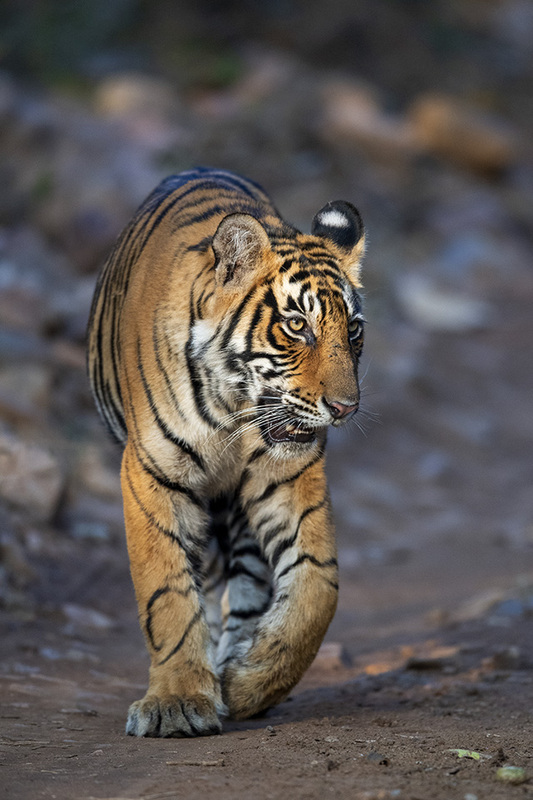 And we were waiting there all set to capture his majestic stroll on camera. 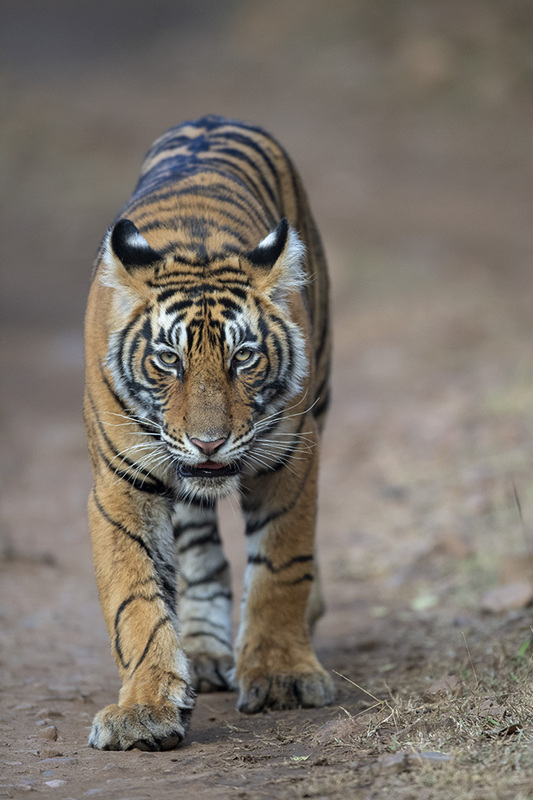 This Tiger then walked onto the road in between the waiting Jeeps and started to walk towards our vehicle which was positioned perfectly to freeze the frame. 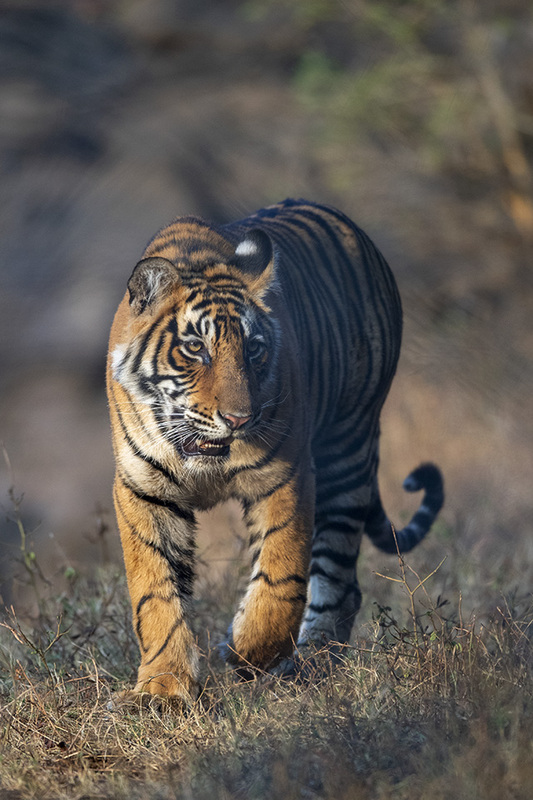 As the Tiger kept walking, we kept moving forward, maintaining the distance between him and us, thereby managing to get some lovely pictures of this handsome prince of Ranthambore National Park.